San Francisco, March 26: Taiwanese consumer electronics company HTC will start selling its enterprise-targeted Vive Focus Plus standalone virtual reality (VR) headset for $799 from April 15. 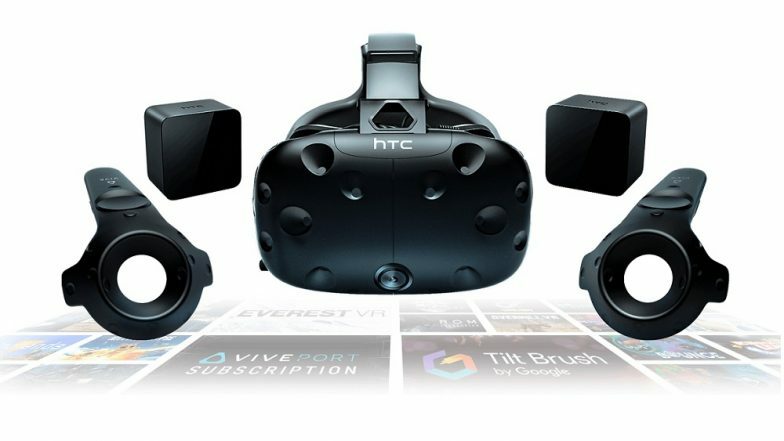 "The company has announced that the Focus Plus will be available through the Vive website in mid-April for $799 in 25 markets around the world. Samsung Galaxy Fold To Be Released in Europe By Early May. "That's a hefty increase over the $599 you'd pay for the enterprise version of the original Vive Focus, but HTC is clearly betting that the Plus' advanced performance will make all the difference for exacting users," the Engadget reported on Tuesday. with a head-mounted display (HMD) featuring all new fresnel lenses, the Vive Focus Plus offers enhanced optics and its standalone headset does not need to be tethered to a smartphone or a PC. According to the VentureBeat, the fresnel lenses can reduce the screen door effect or the grid of lines that you can see in a VR application that make you feel like you are looking through a screen door.